Liu Ming's intimate memoir and journal of his time living in and traveling through Asia. Now available as a downloadable eBook. Choose the appropriate format below which fits your eBook platform. 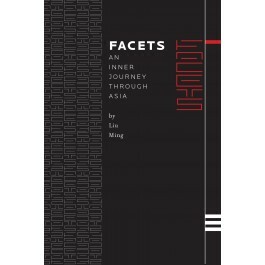 Liu Ming wrote this book while traveling throughout Asia in the early 1980s. He intended it to be a "pillow book," a book of observations and musings in the Japanese tradition — or, in western parlance, a memoir. He shared draft versions with his friends in the 1990s, but decided against making it available more widely. As he approached his death in early 2015, it was time to revisit that decision. In keeping with his original notion of the book, he chose a traditional Asian binding style, rather than a conventional, mass-market format. If you have come to this book through Ming's later and more scholarly writing, you will see the seeds of that work here. We hope you will appreciate the musings of the younger Charles Belyea, who would later become the teacher, Liu Ming.